So the 2012 pre-season test frenzy is over and we've all had a good look at the new cars. But if you think the cars we saw in Barcelona will be the same models we see at the first race in Melbourne, then you are naive indeed! In fact, the teams are all working endlessly back at the factories to manufacture the final development parts in order to have the best possible chassis for the season ahead. As we can see, Adrian Newey is completely unwilling to sacrifice anything for aerodynamic efficiency which is why we can expect the RB8 to take to the Melbourne track towing the engine behind it in order to tighten up the rear end. Will this bold strategy pay off? We'll find out in two weeks' time! 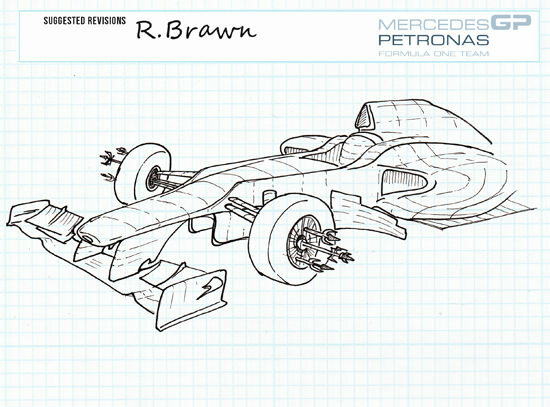 This blueprint gives the strongest indication yet that Ross Brawn intents to renew Michael Schumacher's contract beyond the end of this season. 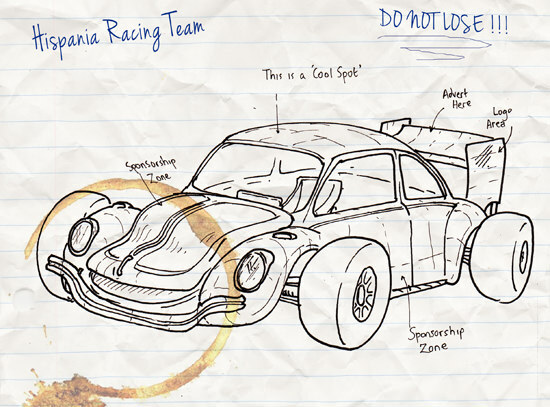 The wheel-spikes certainly play to the seven-time champion's driving style. 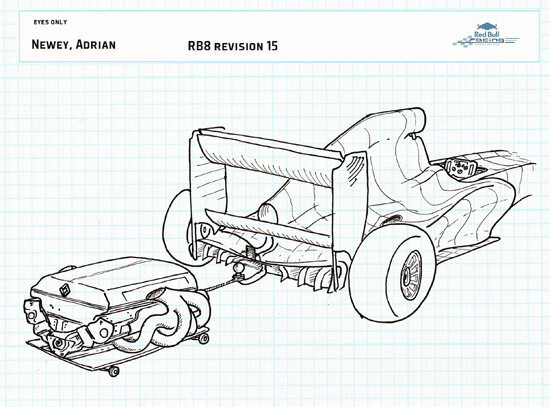 This latest technical spec from the Williams team is bad news for fans of the grand old team. The spring-loaded ejector seat certainly suggests that staff turnover will continue to be volatile across the Grove outfit. Look out, Pastor Maldonado! The third-generation model from the cash-strapped HRT has fallen under much scrutiny since this image was blown out of the open door of the HRT caravan factory. Teams were lining up to call foul play, certain that HRT had stolen the design from elsewhere. 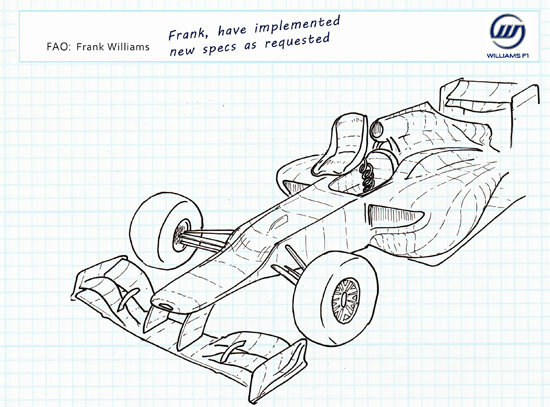 Even after an FIA investigation which found the car to share no components with rival teams, the other constructors can't help but swear they recognise the design. Who do you think looks the best prepared for the Australian GP?